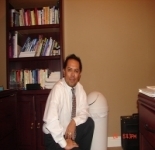 Mario G. Bonola is currently living in California, working as a Real Estate Agent & Investor in "RE/MAX Champions Realty" and is interested in Real Estate. This profile is owned by Mario g. Bonola. Send a message to this person to delete this profile.